The show will also select 10 of the best entries and viewers are encouraged to vote for their favorite at CNN.com/Robin beginning Tue, Aug 16 through Tue, Aug 30. The winner, to be announced on the air in September, scores a trip to Atlanta to meet the “Morning Express” team, a VIP tour of the news studio and a professional recording session for the song they created. Brand New Day leaped into Billboard's Heat Seekers chart at #24, and is among Billboards biggest jumpers on its Country Albums chart. It's all a big win for Meade and producer Victoria Shaw (Lady Antebellum) who, without major label backing or significant radio airplay, landed strongly on the chart. “I'm beyond thrilled to see Brand New Day charting so well,” said Meade. “One of my viewers called my attention to it, and I didn't believe them at first, and then felt a leap in my heart when we confirmed it! I'm so thankful to Nashville and my viewers around the country for this." Her debut album Brand New Day (produced by Nashville heavy-hitter Victoria Shaw) is available exclusively at Target stores and iTunes. 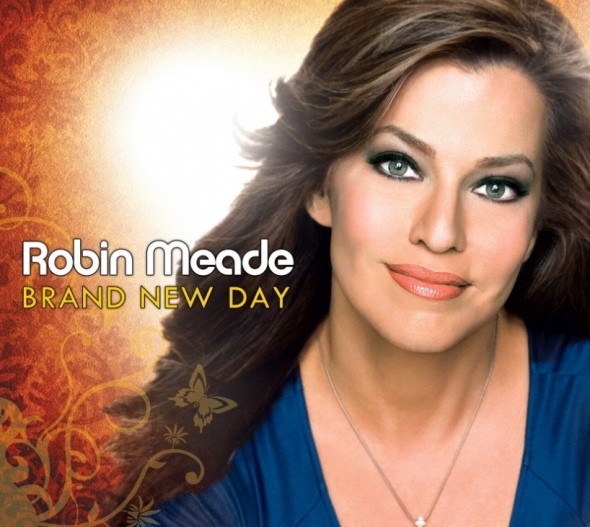 Meade can be seen Mon-Fri, 6 a.m.–12 noon ET as the anchor of "Morning Express with Robin Meade" on HLN.